Thanks everyone for all the good words over the last week! Since my Mom has opened her birthday present I can now show it on her. Her kitchen is decorated with a lot of Swedish things especially Swedish gnomes. I noticed over Christmas her apron was looking a little tried so I decided to embroider one for her to go with the kitchen. 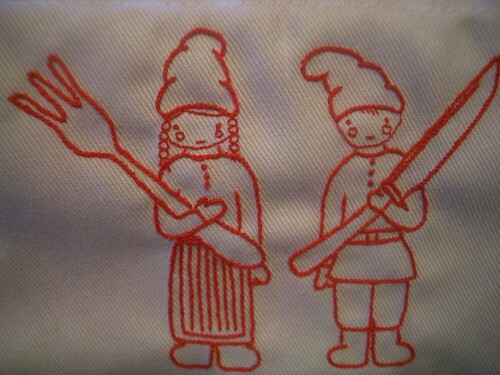 I drew up a pattern for a girl & boy tomte holding a fork & knife & embroidered them in swedish red. 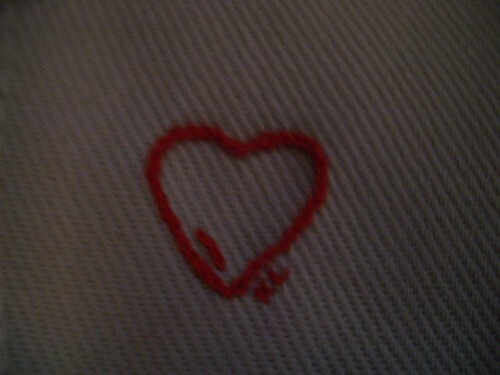 On one of the bottom corners I added a little heart & my initials. I have to say designing & doing up an embroidery design is so quick & so fun, can’t wait to do more. I’ve been traveling in Southern California the last couple of days for work & had the longest flight home yesterday (7 hours from Burbank to SFO) so I spent the time knitting up this bright ball of Rowan tweed to be felted for cut flowers. 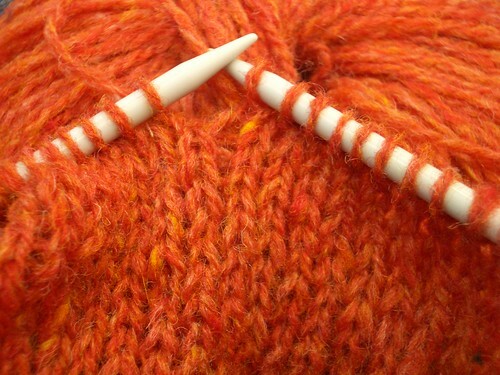 you’re so crafty! love the embroidery and the flaming orange, it almost warms me up. 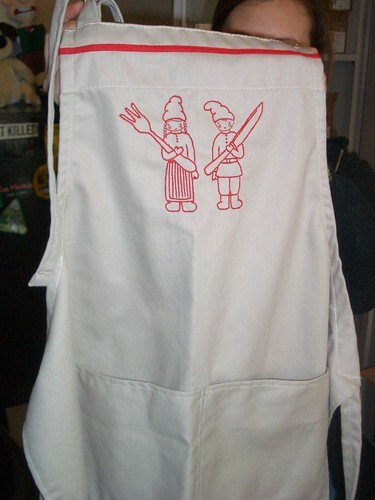 that apron is darling. Great job! The apron you made is too cute!